Spray 3 1/2-quart slow cooker with cooking spray. Cut off beet tops; peel beets. Place beets in slow cooker. In small bowl, stir together honey, vinegar, oil, chopped rosemary, garlic, salt and pepper with whisk. Pour mixture over beets. Cover; cook on Low heat setting 7 to 8 hours. 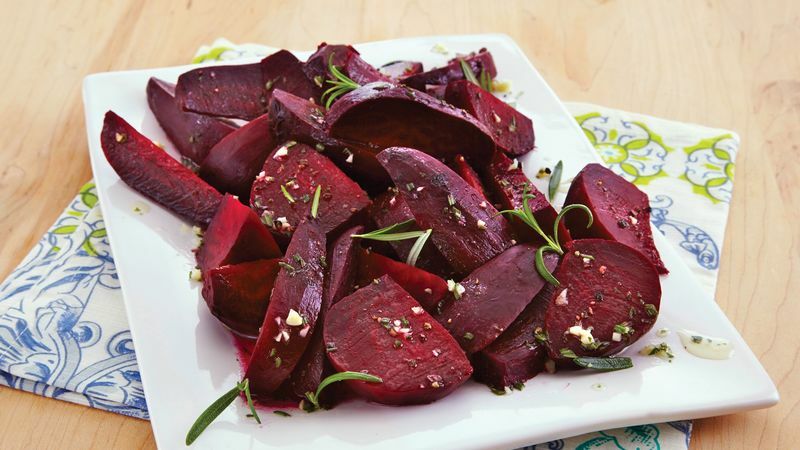 Remove beets from slow cooker to cutting board; cut into slices or wedges. Garnish with rosemary leaves. Serve these beets atop a salad or alongside an entrée such as roasted or grilled chicken.